Is This Guy Presidential Material Or What? RUSH: Let’s go to the response. There were five different responses last night. Did you hear what happened to Bernie Sanders? He-he-he-he-he. He gave a response somewhere, and there was a technical glitch. He was doing a streaming response, and something happened and his feed died. I mean, it was a classic example of socialism on display. Bernie’s another guy last night that looked gobsmacked when Trump’s announcing all this great economic news, the unemployment numbers going way down, the new jobs, the high-paying jobs. Bernie looked totally confused as though it’s not possible. Capitalism doesn’t do these good things. It’s just not possible. But now we go to Fall River, Massachusetts, at the Diamond Regional Vocational Tech School featuring Joe Kennedy and a four-door family sedan for some reason on display right behind him. All they needed was some scuba gear or a neck brace to complete the vision. This is Joe Kennedy III. He’s the son of Robert Kennedy, JFK’s brother. What is he, 34, 38 years old? Do you know what his net worth is? Well, it’s $43 million. He’s not worked. I mean, $43 million. Do you realize how large the Kennedy family fortune has to be if the son — if a grandson — and how many of them are there? I mean, there are Kennedys out there like there are roaches underneath your sink. And this one has a $43 million net worth. And this comes from the Kennedy fortune. A large part of the Kennedy fortune, by the way, is they get the duty, the import tax on every bottle of scotch that comes into the United States. Joe Kennedy Sr., the family scion set that up, and they to this day, that’s a steady income flow that they have. No, I’m not criticizing it. I’m just telling you what it is. They’re free to invest in whatever they want to invest in. I’m not saying it’s ill-gotten because it’s liquor. No, no. I’m not saying that at all. I’m just saying it’s gotta be pretty huge because there aren’t Kennedy paupers. But, you know, you wonder, there’s so many Kennedy grandkids and kids, who has decided which of them gets this much versus that much and so forth? You talk about estate planning, this has got to be some of the best. Anyway, that’s who’s giving the response. And he did look like he was drooling last night. I felt sorry for him. I don’t think he was drooling. I think whatever happened there, it was reflecting. He says he put too much ChapStick on. Now, I don’t know people that put ChapStick, you know, where the goatee would be. ChapStick usually goes on the lips, right? Do you grab your ChapStick and from the corner of your mouth, paint down to your chin? Well, that’s apparently what he did for some reason, says he overused it. Because, you know, it can be unnerving. You’re doing a nationwide response to the State of the Union in a little high school gymnasium. But the eyes of the nation are on you. Remember when Marco Rubio did it, he ended up with dry mouth and he had to sip some water during it and he never got over that. I mean, the teasing never ended. 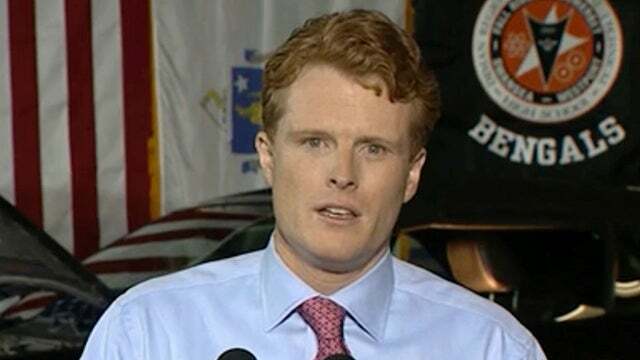 And so young Joe Kennedy III I think wanted to make sure that he didn’t have dry mouth or didn’t want to be licking his lips if they dried out, so here came the ChapStick. Anyway, the thing to note here is listen to the entirely different vision of America. Now, in the case of the Kennedys, I’ve always believed, they can’t possibly really see the country this way. They articulate all this stuff as a means of getting away with being rich. The Kennedys and Bill Gates and Buffett and all these other people get away with being rich rather than being targeted for it because they all act like they don’t deserve it. They all act like they’re gonna give most of it away. They all act like they’re not paying enough taxes, and they all focus on the underprivileged and the downtrodden and the thirsty and the hungry and the roach infested, what have you, to make it look like the money in their life is just incidental and they don’t even think about it, which of course there is nobody in the world with money who doesn’t think about it, doesn’t care about it, is not trying to grow it. But it’s an art. It’s a political art to have a lot of money and convince people you don’t care, and that you really just want to give it away. When in fact, they want to give other people’s money away, not their own. The way the Kennedys live, they can’t possibly see the country the way they portray it. But they have parlayed this view into a dynastic political family and existence. Here. Just one sound bite ought to do this. RUSH: Right on! Right on, dude! You tell ’em! Build a wall and we’re gonna tear it down. He sees just victims. Man, they’re just put upon, they’re mistreated, they’re just… Oh! They need protection. They’re helpless. By the way, speaking Spanish? Joe Kennedy III does not own that one. This is a tradition that has been alive in the Kennedy family for a long time. TED KENNEDY: (singing in Spanish) Laredo, will you help us out? Will you vote for Barack Obama? RUSH: That is the late Senator Ted Kennedy at an Obama campaign event in Laredo, Texas, in 2008. So you see the Kennedy family has practiced the art of outreach in many diverse, diverse ways. Kennedy was asked about his drooling today on Good Morning America. George Stephanopoulos could not help bringing it up. STEPHANOPOULOS: Twitter had a field day with your shiny lips. So did you bring your ChapStick this morning? KENNEDY: Uh, oddly enough, uh, I decided to go, uh, a little bit light on the ChapStick this morning. Uh, more on the coffee, light on the ChapStick, which is probably a wise choice. STEPHANOPOULOS: — like everybody does and he made fun of himself the next morning. 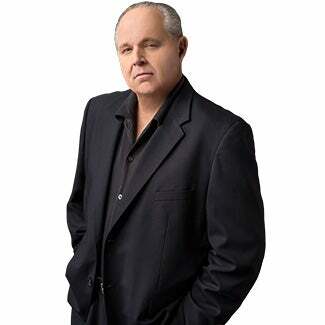 RUSH: Is this guy presidential material or what! “Some left-wing activists are not thrilled that Democrats selected Rep. Joe Kennedy (D-MA) –a privileged ‘white man’ … who is not progressive enough.” He’s not liberal enough. … He’s “‘a white man from a storied political dynasty who is, by all accounts, not one of Capitol Hill’s pioneering forces…’ The founder of Moms Demand Action, a prominent gun control group, argued that Democrats should have selected a woman of color to deliver the response. “White privilege” is why so many problems exist, and do not doubt me on this and do not slough this off. And it’s what you’re… If you have kids in college, it’s what they’re being taught, and many of them are signing right up for it. They’re signing right on to it. They’re being taught self-loathing. They’re being taught to feel guilty. They are being propagandized into believing that their racial heritage — “white Christian patriarchy” — is the problem that remains to be solved in this country because it is the root of all evil. Now, I want to move on to this dossier. Folks, I don’t think you in this audience need any lessons on the media and how they operate. But still, it is useful to point them out.